easyHotel, the owner, developer and operator of “super budget” branded hotels, announces that it has signed a 25-year lease on a site in the city of Cambridge, for the development of a new purpose-built easyHotel. The agreement is subject to planning permission. Located on Newmarket Road, the site is situated less than 1 mile from Cambridge City Centre. 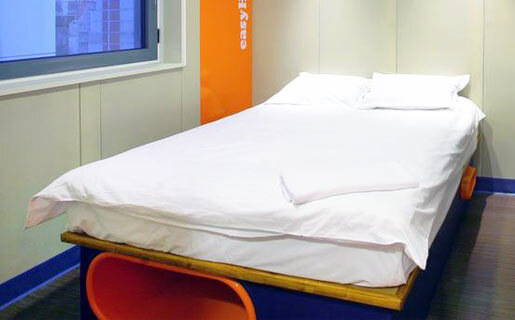 The site is to be developed into a new purpose-built 100-room easyHotel. The hotel is expected to open in 2019. Cambridge is a popular tourist destination, famous for its University and Museums. It is also home to Silicon Fen, one of the UK’s most dynamic technology hubs. The Cambridge hotel market has experienced strong growth in recent years and suitable development sites are in high demand. Cambridge will be the Group’s third leased site. The hotel will be let on a 25-year FRI (fully repairing and insuring) lease at an annual rent of approximately £625,000. The hotel will be developed by MP Merchant, in line with easyHotel’s specifications. As previously outlined, whilst the Board is focused on accelerating the Group’s expansion through owned and franchise hotel development, it will consider leased sites on a specific and limited basis for strategic locations where the acquisition of freehold or long freehold interests do not meet the Board’s strict investment criteria. Commenting, Guy Parsons, CEO of easyHotel plc said: “Having recently completed a successful fundraising to fund the acceleration of our owned hotel portfolio, this announcement is a clear signal of our intent and ambition to expand our development pipeline, targeting popular business and leisure city centre locations.